Father & Son Painting has been proud to serve Fort Collins for more than 30 years now as a local painting company. We have built a reputation as the trusted local paint company when it comes to residential home and house painting. We aren’t just a one-trick pony when it comes to painting. Father & Son Painting has a range of painting services for residential and commercial needs. 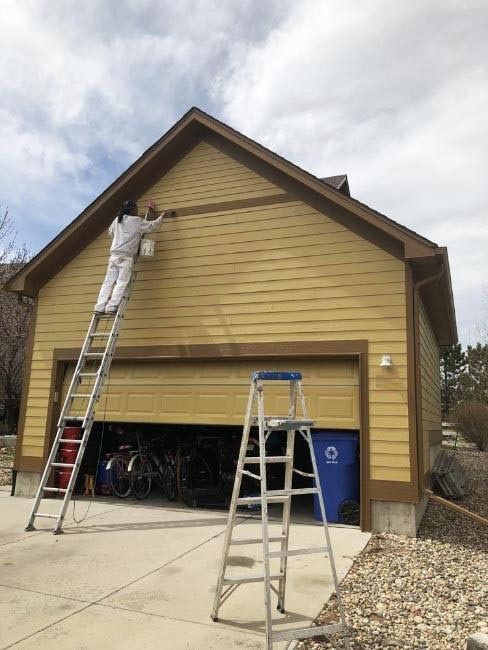 Originally opened over 30 years ago in Northern Colorado, Father & Son Painting has become one of the most trusted local painting companies in Colorado. We serve Fort Collins, Loveland, Windsor, Greeley, and everything in between. When you deal with us, you know you are getting friendly, personal service that you just won’t get with the “big guys”. When it comes to quality, we only settle for the absolute best. That is why we use Diamond Vogel paint for all of our painting services at Father & Son Painting. This premium paint is known for being long-lasting and vibrant, so that you don’t have to worry about repainting any time soon. We can paint in any color and color-match for you so that you get exactly the color you want. Give us a call at (970) 225-0968 if you are looking for a local paint company in Fort Collins, CO! Please contact us if you have any questions about our services, hours, or rates.